UAP (Union Associated Physicians) Clinic is located between Jones Hall and Lincoln Quad at 567 North 5th Street (across from the tennis courts) is available to all undergraduate and graduate students taking one or more credit hours at ISU. Students must present a valid ISU identification card upon arrival. You can learn more about the UAP Clinic at www.indstate.edu/shc. You can call them to schedule an appointment at 812-237-3911. Student Counseling Center is located on the 2nd Floor of Gillum Hall and provides confidential services to you. Your professors, the administration, friends, etc. cannot find out even if you have ever been to the counseling center. You can learn more about the SCC at www.indstate.edu/cns. You can call them to schedule an appointment at 812-237-3939. Victim Advocate team through the Assistant Dean of Students & Director of the Women’s Resource Center office is located on the 7th floor of Hulman Memorial Student Union (HMSU Room 711) and provides confidential services to you. The victim advocates are confidential and can aid you with understanding your reporting and service options. For more information, go to www.indstate.edu/student-affairs/wrc/services. During business hours (Monday-Friday 8:00AM to 4:30PM), call 812-237-3829, and after hours, call 812-243-7272. Psychology Clinic by the ISU Psychology Department is located in Root Hall (424 N. 7th St.) and provides confidential services to you. The Psychology Clinic is open Mondays 8:00AM to 4:30PM and Tuesdays through Thursdays 8:00AM to 8:00PM. For more information, visit www.indstate.edu/psych-clinic/index.htm or call 812-237-3317. Norma and William Grosjean Counseling Clinic by the ISU Department of Communication Disorders, Counseling, and School of Psychology is located in University Hall (Garden Level, 401 N. 7th St.) and provides confidential services to you. The Counseling Clinic is open Mondays through Thursday 8:00AM to 7:00PM and Fridays 8:00AM to 3:00PM. 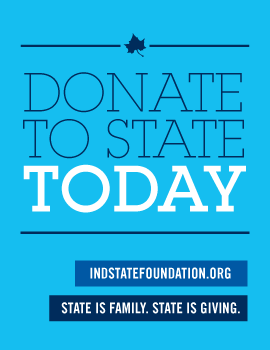 To learn more about the Counseling Clinic, go to www.indstate.edu/education/nawgc or call 812-237-2800.